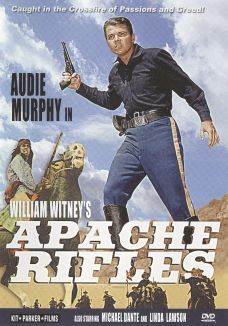 Two of the cast members from the 1950 western Broken Arrow, Jeff Chandler and Jay Silverheels, recreate their earlier roles in 1952's Battle at Apache Pass. 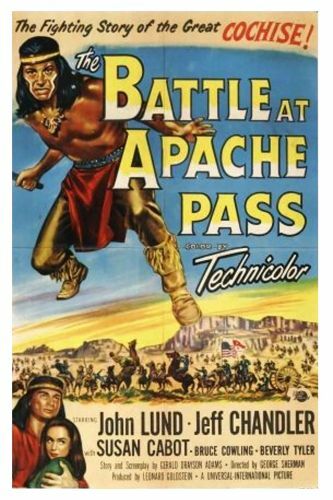 Chandler plays temperate Indian leader Cochise, while Silverheels is the more explosive Geronimo. 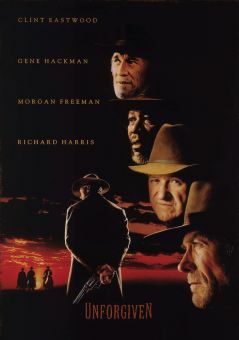 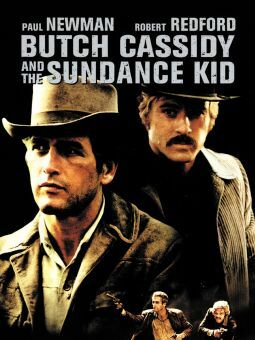 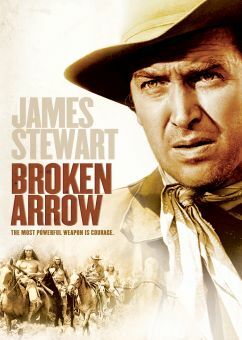 The film takes place several years before the events depicted in Broken Arrow, a time in which Cochise attempts to prevent war between his people and the white settlers. 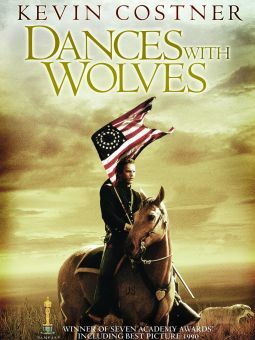 Though Cochise's wife dies at the hands of a bigoted cavalry officer and a crooked Indian agent, the stoic Native American continues to believe that a lasting peace is possible. 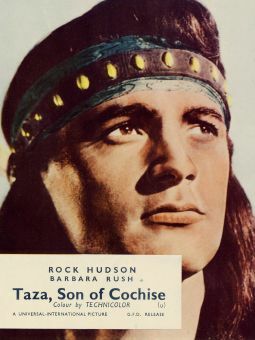 Two years after Battle at Apache Pass, Jeff Chandler would again reprise the role of Cochise (this time as a dying old man) in Taza, Son of Cochise (54).